Always handle them carefully, and avoid scratches and abrasions. If the bulbs are lit, avoid contact with liquids. Never touch the glass with bare hands. 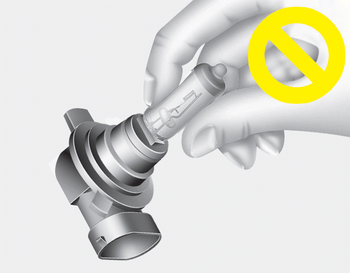 Residual oil may cause the bulb to overheat and burst when lit.